Easy peasy and very cheese. 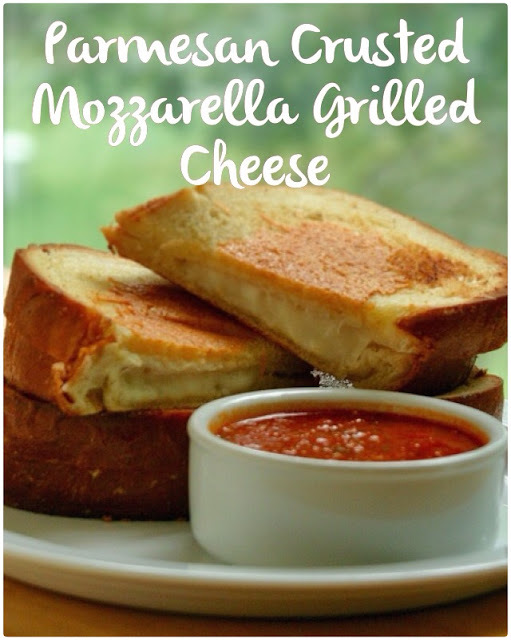 This twist on grilled cheese comes together in minutes and is totally delicious. This recipe got a thumbs up from every member of my family! 1. In a small bowl, mix the softened butter and garlic powder together. Spread the outside of each slice of bread with the butter. 2. Slice the buffalo mozzarella cheese and divide it between the four sandwiches. 3. On a medium low flame, place a nonstick or cast iron skillet. Sprinkle 1 tablespoon of the parmesan cheese and place the sandwich on top of the cheese. Grill for about 2-3 minutes until golden brown. Remove the sandwich. Sprinkle another tablespoon of Parmesan on the skillet and flip the sandwich, buttered side down on top of the Parmesan. Cook for another 2-3 minutes until the cheese is melted and the sandwich is golden brown. Serve with warm marinara or pizza sauce for dipping.